The story of Rapunzel describes the inverse relation between faith and fear. Rapunzel is a beautiful young girl who is locked away in a tower. She’s fed a consistent diet of lies about the dangers of the outside world. The lies are told to keep her physically, emotionally, and psychologically trapped. In reality, Rapunzel is not imprisoned for her own safety. Instead, the evil witch, Mother Gothel, wants security and safety. And she uses coercion to get it. If Rapunzel or anyone else thought safety was possible outside the tower, Mother Gothel found some way to punish, minimize, or ignore that thought. She believed that Rapunzel would leave, if given the choice or opportunity. And she thought Rapunzel was her source of everlasting youth, beauty, and life. This “control dynamic” occurs frequently in abusive relationships. The abuser does not trust others. Instead of fostering a faithful love relationship, the abuser resorts to manipulation, fear, and exploitation. The goal is control. Abusers eventually realize that fear motivates those they abuse to stay in relationship. When the fear ends, the other will leave. Freedom and love threaten the abuse cycle. Even if the abused has some love for the abuser, the abuser cannot accept this love. 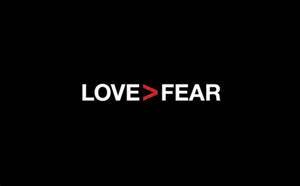 Love cannot flourish, because fear prevails. The power of fear is so great, that abusive people prefer being feared to being loved. As a result, the abuser becomes a slave to his own desire for control. And this slavery limits his ability to love or accept love. God is love. When we take up permanent residence in a life of love, we live in God and God lives in us. This way, love has the run of the house, becomes at home and mature in us, so that we’re free of worry on Judgment Day—our standing in the world is identical with Christ’s. There is no room in love for fear. Well-formed love banishes fear. Since fear is crippling, a fearful life—fear of death, fear of judgment—is one not yet fully formed in love” (4:17-18). I also find help in the writings of Soren Kierkegaard. He defines love as an infinite debt to another, willingly taken on. This suggests to me that love cannot be entirely self-centered, otherwise it ceases to be love. The denial that God controls fits nicely with the denial that God foreknows all things. For some, saying “God doesn’t know the future” produces anxiety. This view of God explodes our definitions of God. We are tempted to fear rather than believe. Rollo May helps me think about anxiety. In fact, he defines anxiety as the fear of nothing. It is true that freedom, while necessary to live and interrelate authentically, creates anxiety. Accepting that we are free can be terrifying. Combining freedom with the idea that God cannot know the future in its entirety can lead many to intense fear. For some, it’s reassuring to believe that, if all else fails, God knew what was coming and has a cosmic plan. I believe, however, the promise of salvation does not mean that God knows all the details of what will happen in the future. It is sufficient that God knows what He’s capable of. Our faith is not ultimately in people, but in the God who loves us. I’m not saying it’s easy to replace our old views of God with this new one. There are times I mourned the loss of my old “god.” But I’m reassured when I realize that this new vision of God describes Someone who is much closer and active in my life. We are experiencing life together in a real way. I’ve come to realize that I’m like Mother Gothel. And Rapunzel is my view of God. It was fear that led me to lock God away in a tower. I let my anxieties put God in that tower. In doing so, I let created room for fear instead of love. I’m ready to take the risk that my old view of God was wrong. I’m letting God out of the tower. Not only do I think “the controlling God” view cannot really help me overcome my fears. I also think my well-being – my right-being – asks me to take the risk that God is truly love. Perhaps the story of Rapunzel can teach me — and us — that love has no room for fear. I love the Rapunzel analogy, Nathan! The repunzal analogy is so good. I also love the idea that God having self limiting control is the most loving thing. Such great thoughts…it’s a lot to digest. I just watched Tangled yesterday and was thinking along these same lines. I hadn’t taken it nearly so far and am intrigued by the metaphor of locking our God away. This came at a perfect time for a conversation I’m having. Thanks. Sounds like it was good timing! Glad this was able to take it a little deeper. Thank you for the comment, Taryn!